Here is the Netherlands Football Accessories and Merchandise shop at Soccer Box. This is the number 1 place to shop for all your official Holland football accessories and merchandise. You will find a fantastic selection of items that are perfect for showing your support for the Holland football team. In the Netherlands football accessories and merchandise shop you will find scarves, hats and bags amongst other products. If you are looking for a gift for a fan of the Holland squad you are sure to find a suitable accessory. Show your team support every day and proudly use some of the Netherlands merchandise we have available. 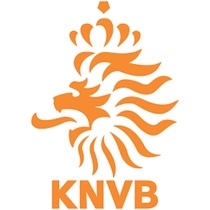 Official Netherlands Football Accessories and Merchandise Here Now! Always at Great prices! The Netherlands football accessories and merchandise store stocks official Nike products that have been designed as part of the teams official clothing and leisure range. Nike is the official supplier of the Netherlands football kits. The team kits will be worn for every football match. Souvenirs are an affordable way of showing your team allegiance every day. Shop for your Holland football accessories now at Soccer Box. The Netherlands football team has a number of star players. The team boasts an impressive history, reaching 3 World Cup finals. They have yet to win the prestigious title of World Champions having been defeated in 3 times in a final. Browse the Soccer Box shop. We stock the latest Netherlands football shirts in addition to our range of football accessories and merchandise. Make Soccer Box your favorite place to shop for all the brand new Netherlands football kits and Holland football merchandise. We stock merchandise for a large range of teams for countries and leagues around the world. You are sure to find something for your favorite football team at Soccer Box. Netherlands Football Accessories and Merchandise Available now While Stocks Last. Order Today Using the Secure Online Order Form!